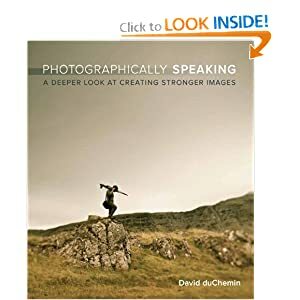 Photographically Speaking: A Deeper Look at Creating Stronger Images is the latest book by David duChemin that focuses heavily his idea of what makes a compelling photographic image. It is a masterfully assembled book that is sure to please those with engineering minds who like to dissect a photograph. It reminds me very much of Michael Freeman’s hit book, The Photographers Eye. The Photographer's Eye: Composition and Design for Better Digital Photos is a well known and respected book on photography composition that many have told me was a very important book in their photography education. I read that book and while I can see how it may appeal to some, in all honesty I found it too boring and dry for my taste. The cover was fantastic so it got me to give it a close look, but the contents quickly caused me to lose interest due to the dry delivery style. I found David’s book to be significantly more interesting than Michael’s, but honestly the photos presented in the book didn’t feel like stronger images to me. In fact they left me underwhelmed or bored. This is not a strike against David because art is subjective, so what is art to one may be garbage to the other. He would most likely find my images to be uninspiring and tacky, but that’s how art works. I don’t care for his images used in the book, but I respect his work and his attention to detail in how he takes the time to educate the reader on how he composed 20 shots is commendable. 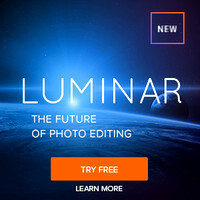 It’s clear that David duChemin knows his stuff and is an masterful educator of photography. 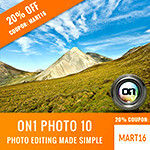 David provides excellent detail about the crop he chose and its use of the rule of thirds. When applicable he provides good examples of the golden spiral is applied, which is rare to find in photography books these days. The Photographers Intent – The book starts off with a rather enjoyable chapter called “It Means Something” where he discuses why you just like some photos based on intuition or unexplainable reasons. 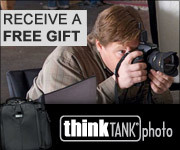 This is something I think we can all relate to as photographers, so I actually enjoyed it. Visual Language – This is the meat and potatoes stuff that I think most photography books lack that many analytical/engineering minds wish for in a book. This is where he gets into great discussions about how lines, repetition, contrast, colors, light, etc… impact a photograph. He follows this with a text-book like chapter on framing, cropping, gesture, and other photographic principals. I’ll be referring my engineer friends to this chapter when I get questions from those wishing to approach photography as a math problem rather than an intuitive expression of one’s self definition of art. Photographs – I really commend David for taking the time to break down 20 photos in a way that makes you feel that you are looking at ones of his prints on the walk and he’s telling you the story of how he made the photo. If you like David’s work, then you’ll be thrilled with this part of the book! If you find that Scott Kelby and Bryan Peterson books leave you wanting more detail and depth about the composition of the shot, then this book is for you. If you liked The Photographer’s Eye, then it’s a must have. However, if you are the naturally gifted artist that grabs a camera without reading the manuals and just gets solid images with no clue why then this book will bore you to tears. The rebel photographer with ADD who works on instinct will not last through the first chapter. I don’t see a middle ground, either you’ll love it or you’ll be bored (but perhaps you can respect it as I do). This book isn’t my type of book so it won’t make any recommended list. However, I respect the book for what it is and acknowledge that my learning style is different from some. I fully expect those who are much more analytical than me to absolutely love it. Please see my Which Books Should I Read article for my advice on photography books. I was provided with an unsolicited copy of this book with no obligation to review it. Thank you for taking the time to write this thorough review, Ron. I've been contemplating purchasing this book, as I follow David and his adventures on his blog. If you like David's work and you like in-depth theory discussions, then you'll enjoy the book.